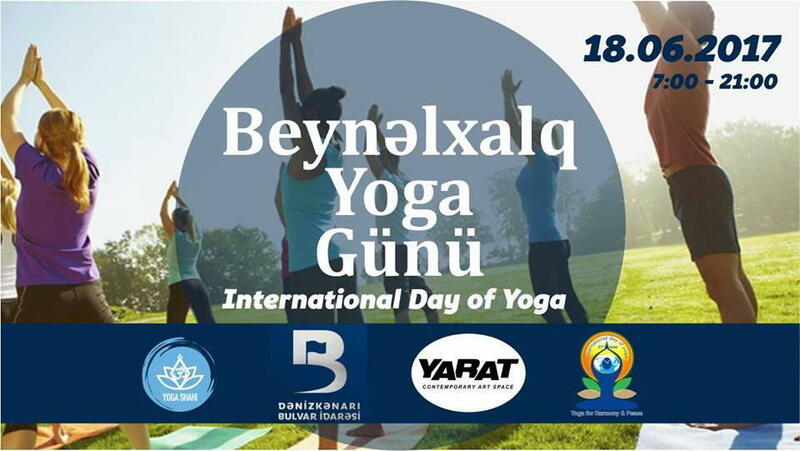 Baku will mark the International Day of Yoga on June 18. The International Yoga Day is celebrated annually on June 21 and was declared to be internationally recognized by the United Nations General Assembly (UNGA) on December 11, 2014. Yoga is a 5,000 year old Indian physical, mental and spiritual practice. The word "Yoga "means union of the individual consciousness or soul with the Universal Consciousness or Spirit. The project aims to promote healthy lifestyle and supports the Foundation helping children with cerebral palsy. Yoga Day will start at 7:00 on Baku Boulevard. Participants will enjoy free yoga classes as well as lectures about healthy lifestyle, beauty and self-development. Handicrafts, natural cosmetics and the different eco-friendly products will be available during the event. Vegan food, smoothie bar, tea corner will left no one indifferent. The concert program within the fest will open with performance of "LES GARDIENS DU SILENCE" band . They will present their first album during the event. The event is organized by Yoga Shahi that is engaged in promoting healthy lifestyle, and is also known for the project "Urban Yoga", "Sunset Yoga" and festivals devoted to the first and second Day of Yoga in Baku.